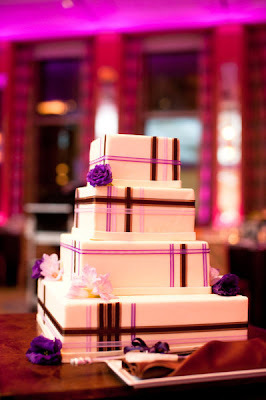 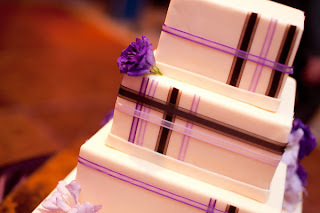 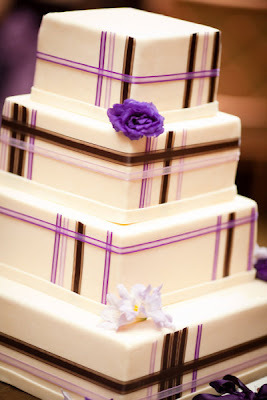 Loving this gorgeous square wedding cake in white with purple and dark brown ribbon. Very elegant wedding cake photographed by Heather Parker Photography and featured in Style Me Pretty. 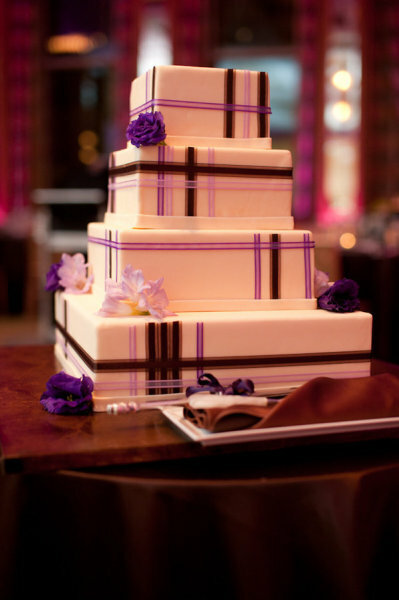 That cake is nice-looking and it seems so delicious! I remember my own wedding held at the Long Island wedding halls specially when it was time to cut our cake. 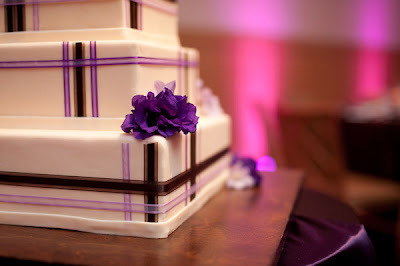 It was so lovely.